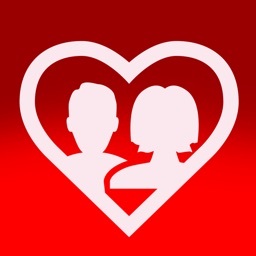 SinglesAroundMe Local dating by SinglesAroundMe Inc. 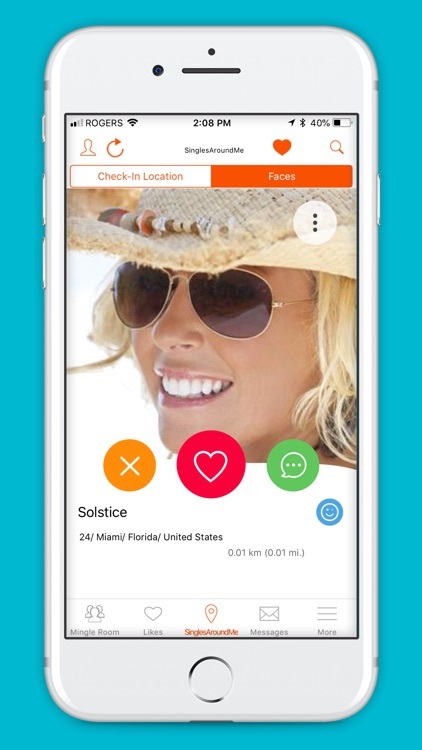 Welcome to SinglesAroundMe™, the world's first and today one of the most popular social networks for meeting local singles that are nearby, anywhere in the world. 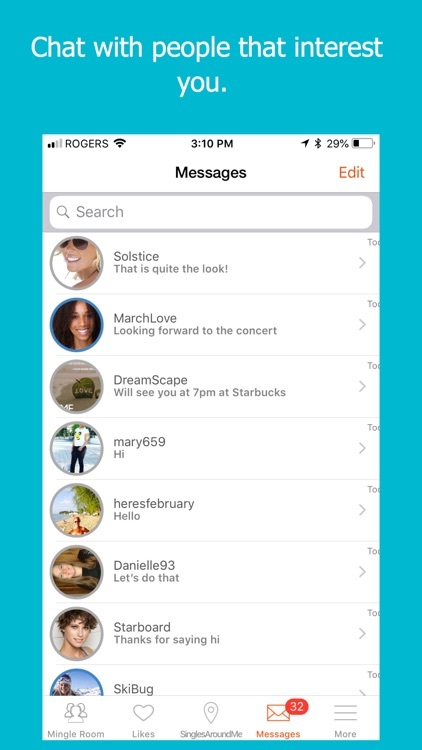 With patent pending technology, SinglesAroundMe is truly a unique app that is revolutionizing online dating. Using GPS we can ensure authenticity, providing an experience that is refreshingly real, fun, interactive and useful, all while allowing you to fully control your privacy. 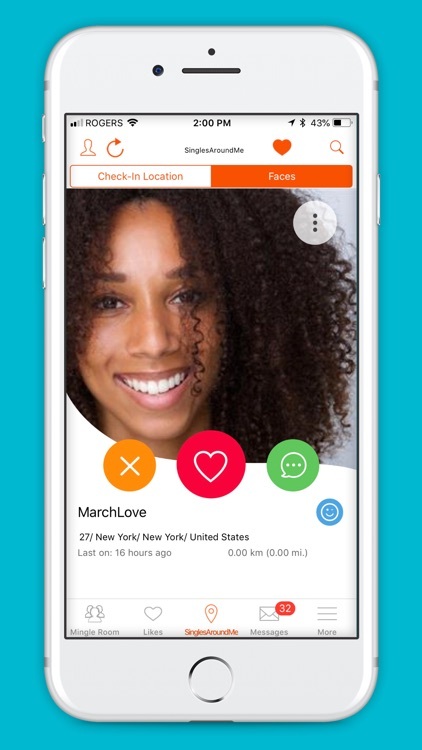 Featured on the cover of the USA Today on Valentine's Day and covered by prime-time media around the world, Singles AroundMe is a must have dating app to meet new local people! Over 200,000 singles download the app every four weeks; share it with your friends and join today! Nearby users are displayed with “hearts” on an interactive map; swipe through Faces; Like or Dislike people that you see; record all of your Likes, see who Liked you and freely interact with users that mutually Liked you back. 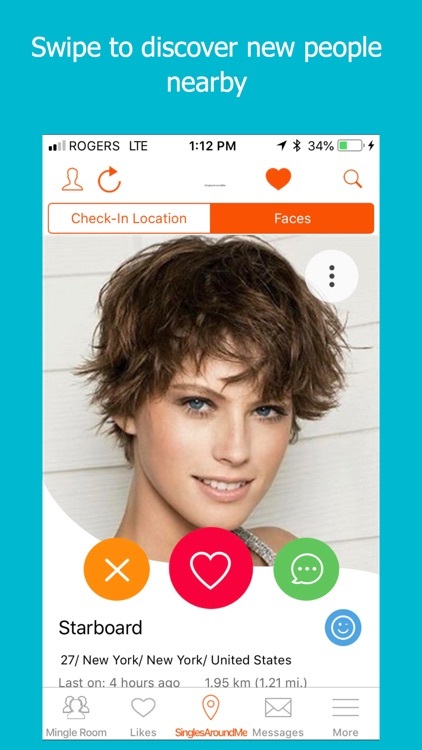 Additionally, as a conversation starter, discover singles that you crossed paths with throughout your day by using the byChance™ feature; Interact with the most active singles in your area using the Mingle Room and so much more! * Don’t miss the opportunity for someone new to discover you, join today. * 100% Free to join and use. Easy registration with Facebook. 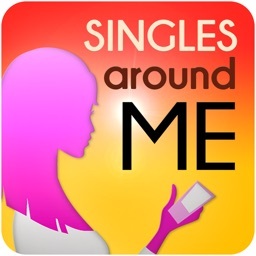 * AroundMe: Swipe through daily photos of nearby singles and engage with people that interest you. 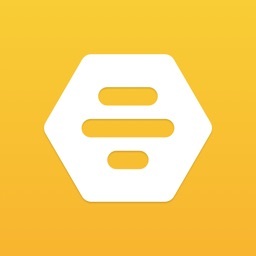 * byChance: Meet people you crossed paths with throughout your day. 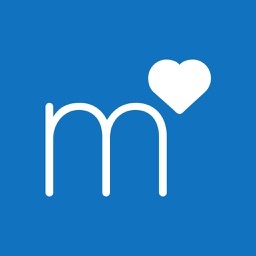 * Mingle Room: Presents the newest and most active members to one another. 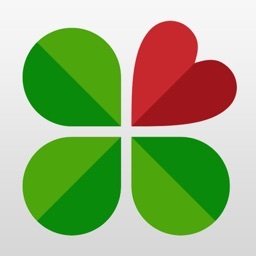 * Like" or “Dislike" photos and keep a fresh list of all the users you “Like”. * See who has already “Liked” your profile. * Users that mutually "Like" each other can talk for free. * Travelling someplace soon, use "Destination Search" to meet and arrange dates in advance. * Message anyone that interests you and let your personality shine through. * Keep track of all conversations in the message section. * Check "New Users" that have recently joined in your area. 100% location-based, 100% GPS dating. * Location Privacy: Choose when to "show", "hide" or "shift" your location on the Last Check-In map. 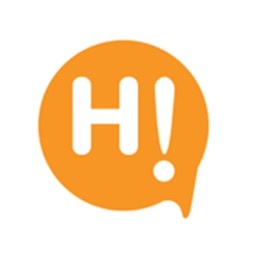 * The last Check-In location gives you the opportunity to verify that the person you're chatting to is really where they say they are and not someone faking it. * Control how you wish to receive messages by email or app notification or both. 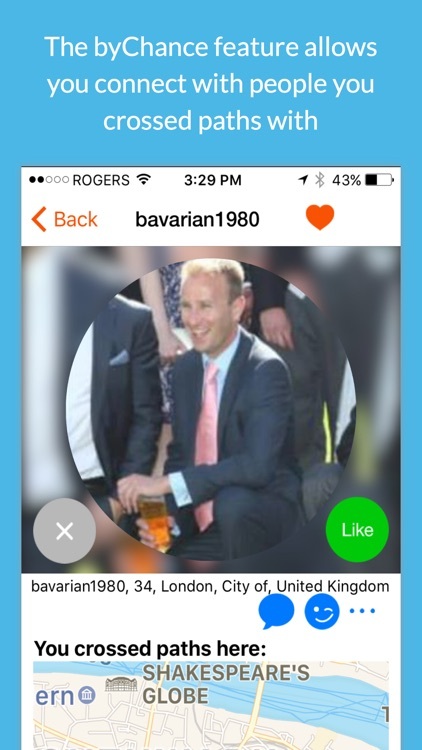 With Singles AroundMe you get a second chance to make a first impression! You can send a wink, message, like or dislike people even if the person has not yet found the time to find and like your photo. * See who has "liked" and "viewed" you and access your "likes"
* Be presented more often in front of matching singles. * Your subscription payment will be charged to your iTunes account. * Your subscription will automatically renew and your iTunes account will be charged for renewal 24-hours prior to the end of your current one/three/six/twelve month subscription period. * You can turn off the auto-renewal of your subscription through the App Store on your Apple device or through the iTunes store on your computer. Once you turn off auto-renewal, your subscription will expire at the end of the current subscription period.